The latest innovation in eye care. The Comprehensive Facial (75 minutes … $135) has been updated to include the NEW stress + eye lift treatment from Dermalogica. 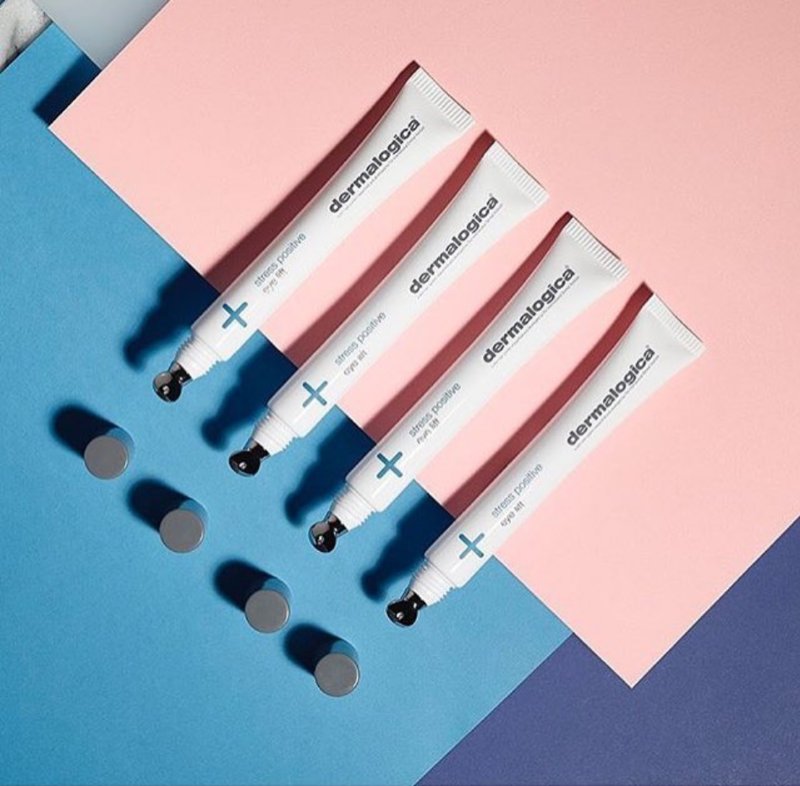 This advanced eye care treatment uses smooth, cool metal rollers to penetrate hydrating hyaluronic acid, lifting fermented yeast and brightening wild indigo deeply into the skin. A layer of a firming contour mask pushes these active ingredients deeper into the skin while further reducing the signs of fatigue around the eyes. In addition to these extra measures for you eyes, the Comprehensive includes a multivitamin resurfacing treatment for the hands to soften any signs of wear. The benefits for your eyes don’t stop at the professional treatment. stress + eye lift can be used at home daily or weekly depending on your skin’s needs. Come on in and see us for a treatment and purchase your at-home treatment from BeautyMark. Refreshed, bright and healthy skin is in your future! 3 Steps to clear skin: A story of teen acne.